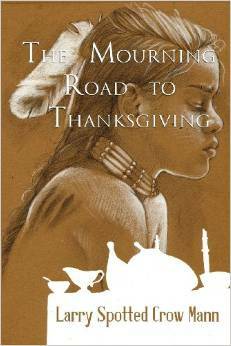 Forty-five years later, Larry Spotted Crow Mann, a Nipmuc author, poet, musician, and environmental activist from Webster, Massachusetts, speaks to us in a similar voice in his new novel The Mourning Road to Thanksgiving. Influenced by the Plymouth protests, Mann’s narrative tackles the way history and tradition permeate personal lives and reminds us that days of mourning are not just annual events. Larry Spotted Crow Mann’s groundbreaking novel, The Mourning Road to Thanksgiving, challenges the notion of a holiday deeply ingrained in American tradition and folklore both from a historical standpoint as well as cultural. The story is told through the experiences of a Native American Nipmuc man who fights to change the future, while coming to terms with his own troubled past and the acceptance of his family. For Neempau [the protagonist], the ultimate remedy is to challenge and end one of America’s favorite holidays: Thanksgiving. His heart-wrenching, daring, and sometimes humorous journey not only exposes the innermost core of Native American struggles, but also the complexities of the notion of race, tradition, and identity. This brilliant story transcends cultural differences and inspires new thinking while taking readers beyond the boundaries of the past. For more information on The Mourning Road and the author, click here (video), here, and here. For more information about the National Day of Mourning at Plymouth, click here for a news article and here for a video of last year’s protest. For further study, see Harvest Ceremony: Beyond the Thanksgiving Myth, a guide by the National Museum of the American Indian and the resources at ManyHoops.com. 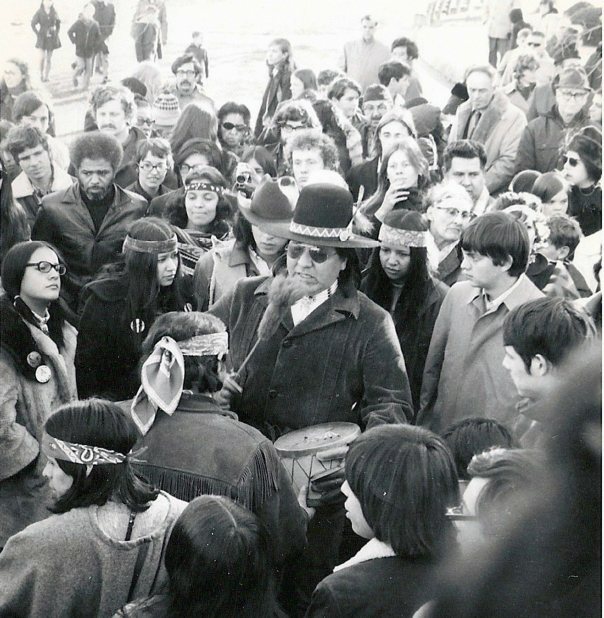 Photograph of the 1970 National Day of Mourning courtesy of ManyHoops.com.